Florida State defensive coordinator Jeremy Pruitt used to coach at Alabama. He also used to coach at Hoover High School, where he appeared on the 2006-2007 MTV reality show Two-A-Days. Jeremy Pruitt ain’t never heard of asparagus. 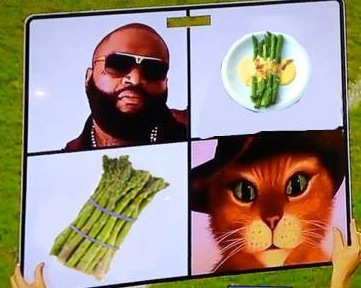 What we’re trying to say is just please put asparagus on the play cards. Dial up some asparagus.